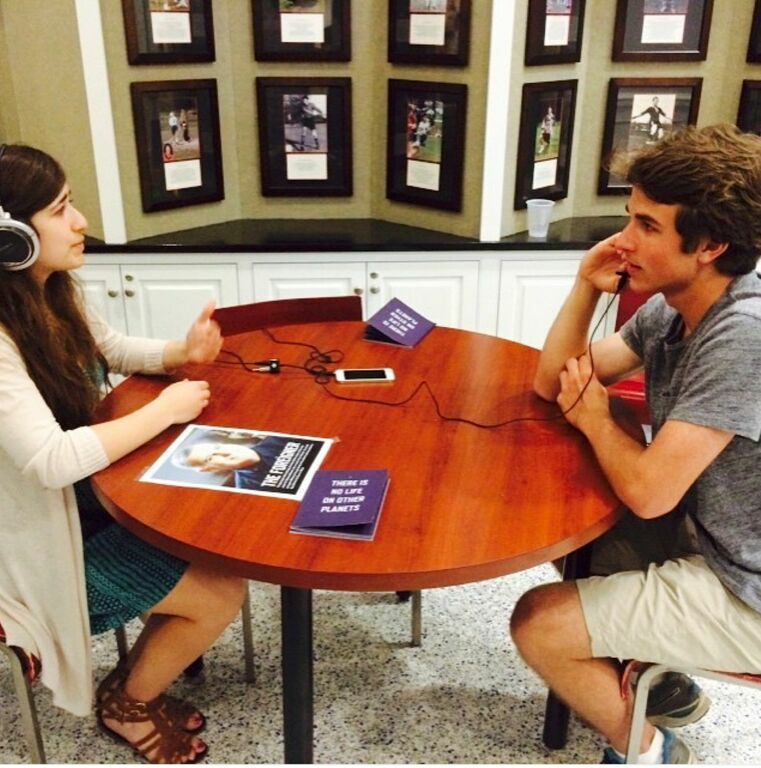 In the past, Conflict Kitchen has visited Pittsburgh schools to in order to implement our The Foreigner curriculum. 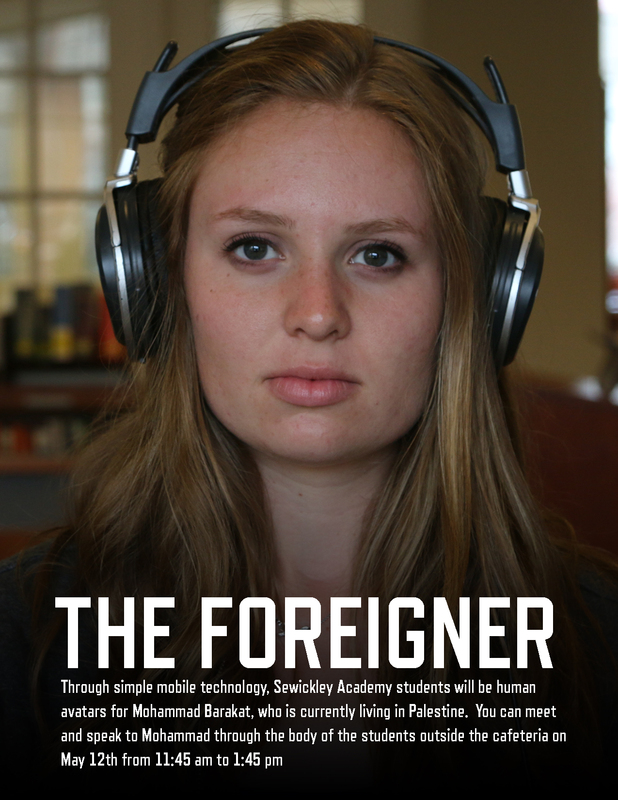 Sewickley Academy’s Current Affairs class executed The Foreigner with actress Tracey Turner playing the avatar. 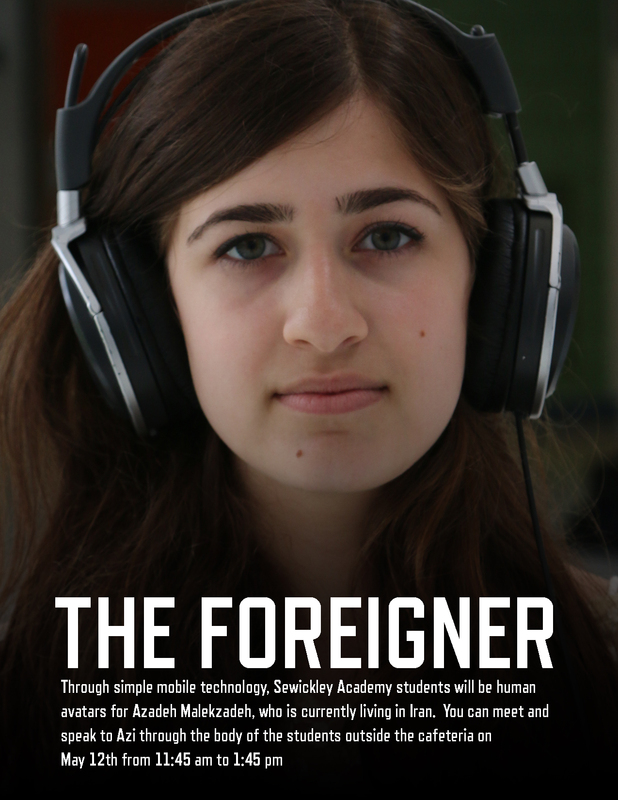 The workshop was such a success that the school created a Foreigner Day. 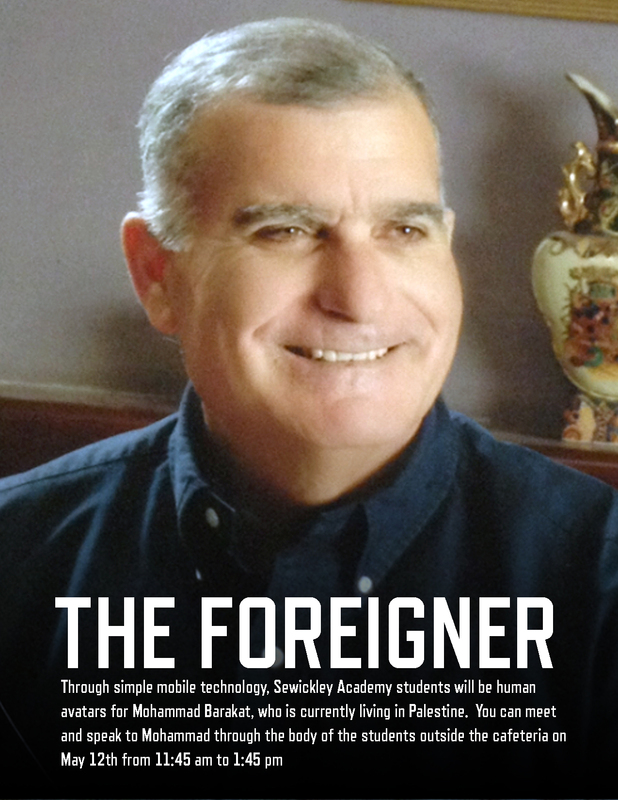 For Foreigner Day, we worked with two of our contacts, Mohammad Barakat in Palestine and Azadeh Malekzadeh in Iran and enlisted the assistance of seven students to fill in for Tracy. Tracy and Blaine Siegel, our Director of Education and Outreach, partnered with Matt Griffin, the Head of the Drama Department, in order to train seven hand-picked drama students to be the human avatars. 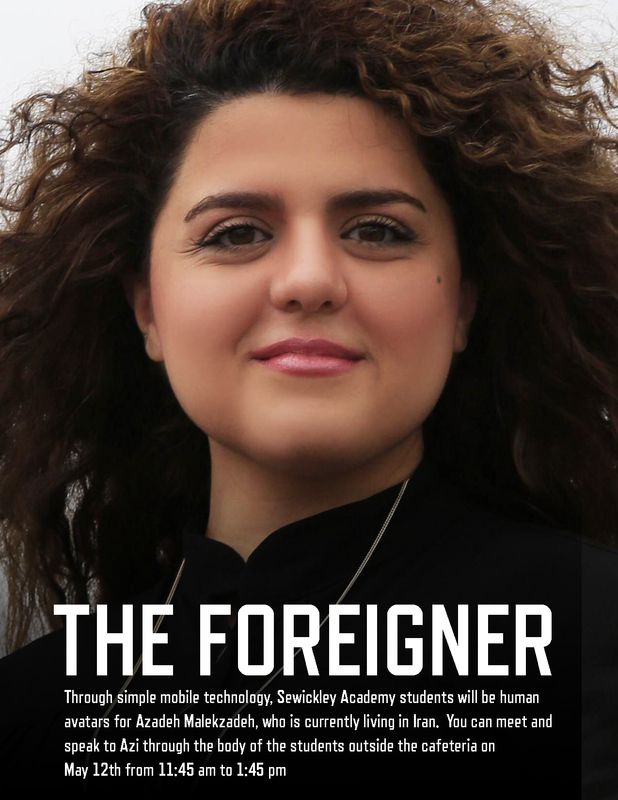 On Foreigner Day, the avatars awaited student participants, who conversed with our contacts in Iran and Palestine, at the main entrance to the library and outside of the cafeteria. 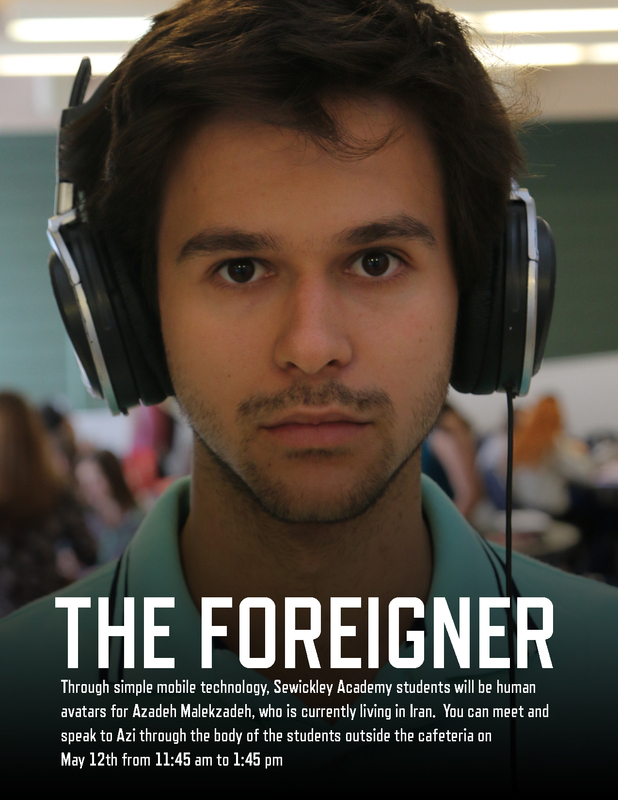 We ran The Foreigner over two hours with the students rotating between both stations, acting as the avatars for 20-minute shifts. Each Foreigner station was prepared with food from the corresponding country. The student body was able to taste the food from both Palestine and Iran, read the literature from our wrappers, and take turns conversing with the avatars. Conversations were diverse, with topics as wide-ranging as water rights in Palestine, the Iranian film Persepolis, and the perceived limitations of freedoms in both countries. At the end of the day, we sat with the students and discussed their experiences of speaking to Mohammad and Azi through their peers.